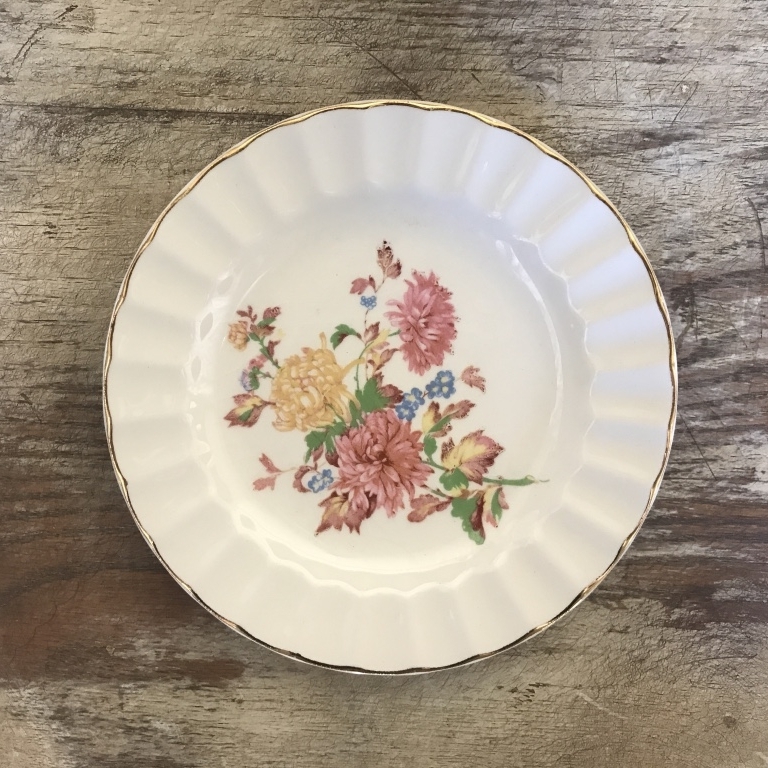 Subtle hues of amber, tans, and browns, adorn this beautiful collection of vintage mismatched china. Perfect to mix with any table selection. 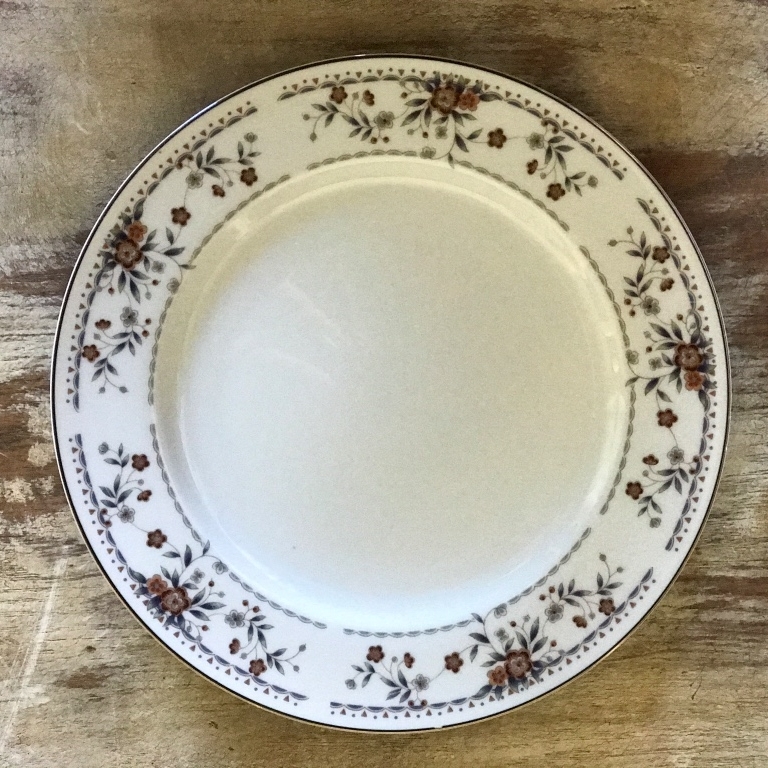 Hazelnut Salad or Dessert Plate. Hazelnut Bread or Appetizer Plate.